OVA bundled with 12th manga volume. The OVA includes a popular chapter that was not adapted in the TV series. 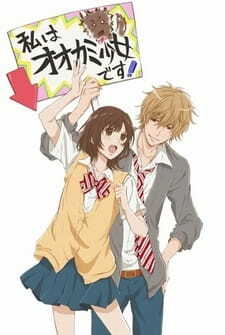 In this review, I'm going to be referring to this show as the english title, "Wolf Girl and the Black Prince". Anyways, so pretty much this OVA takes place after the main story of the anime ends, and focusses on how Erika and and Kyoya are doing with their relationship. I'm not going to spoil the story too much, but it was pretty good by this show's standards. The biggest problem I had was that the characters kinda looked not as sharp as usual. Same goes with the backgrounds, but seeing as this is an OVA meant to be bundled with the manga, I'm not going to be too harsh. I mean, I was just happy getting to see Kyoya's evil face again after I finished the show like 3 months ago. So, the OVA is literally like another episode and you don't really lose anything by watching it.